Max Fashion India, the leading international value fashion brand, hosted their city finale for Max Fashion Icon 2014 in Delhi. 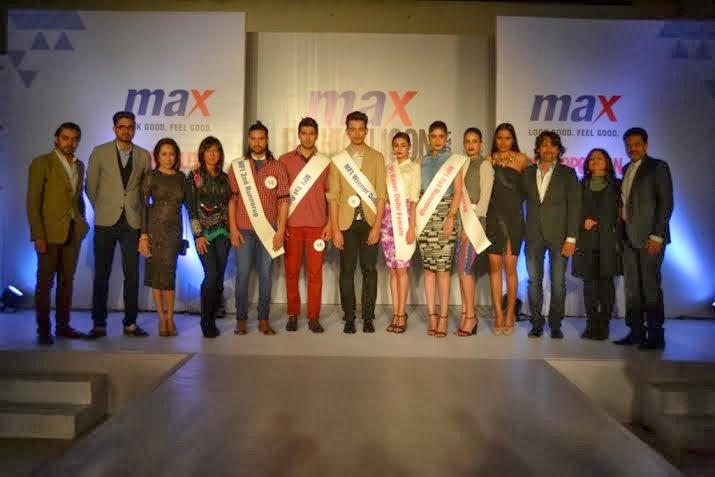 The alluring fashion property launched by Max, revealed the top 15 contestants who battled it out at the City Finale for Max Fashion Icon. The event ensued to be a high profile affair in the presence of the who’s who of Delhi and the contestants were cheered on by enthusiastic guests at The Kila, Seven Style Mill Compound. The high profile panel of judges included Mr. Vasanth Kumar – Executive Director-Max, Jatin Kampani - Ace Fashion and Bollywood photographer, Nandini Bhalla - Cosmopolitan Editorand Renowned Fashion Designers – Malini Ramani and Shivan & Naresh. The evening was graced by the gorgeous model,Preeti Dhata. The contestants walked the ramp in style showcasing three different collections - ethnic and western wear for men and women. The western wear for women featured Max’s spring collection with a key underwater theme brought alive by waterscape prints, pearl embellishments and shaded effects. The men’s western wear round comprised re-interpreted military look and washed out pastel shades that are the key looks for the upcoming spring season along with fresh tropical inspired prints and patterns. The ethnic range for Max Fashion Icon showcased their fusion skirts in varied lengths and bold colours, tribal motifs and an eclectic mix of patterns. The winners were ecstatic as well as nervous since they would once again come together for the Grand Finale which would be held in the capital soon and compete with the winners from the other cities. Thefashionflite wishes Delhi winners abundant luck and Compliment them for the hard work which was put in . Max Spring/summer 2014- looked very promising and ready to wear and Progressive in fashion. We saw some runway trends coming in different forms and color palettes which could now be within the reach of every budget girl's stash . Their accessories were fresh,inviting and the highlight of the show. I can't wait to grab the latest as soon as the collection hit the stores.